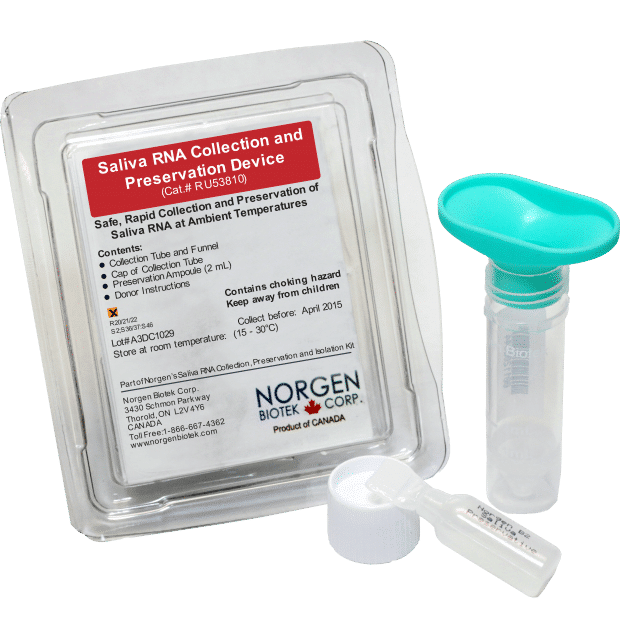 Norgen Biotek is a Canadian company that produces reliable sample collection kits for RNA and DNA in saliva, stool, and urine. Norgen’s ISO 9001 and ISO 13485 certifications indicate their commitment to manufacturing and selling high quality products. Norgen Biotek offers innovative solutions for the collection and preservation of samples at room temperature. Their product line includes innovative devices for collecting and preserving DNA and RNA in saliva, nucleic acids in stool, DNA and RNA in urine, and a line of flocked swabs.